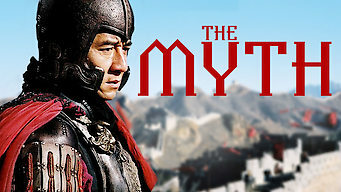 How to watch The Myth (2005) on Netflix Egypt! Sorry, The Myth is not available on Egyptian Netflix, but you can unlock it right now in Egypt and start watching! With a few simple steps you can change your Netflix region to a country like Hong Kong and start watching Hong Kongese Netflix, which includes The Myth. We'll keep checking Netflix Egypt for The Myth, and this page will be updated with any changes. The Myth is not available in Egypt BUT it can be unlocked and viewed! Troubled by recurring dreams of a Korean princess, an archaeologist embarks on an adventure that sheds light on his past life as a Qin Dynasty general. Rolling fireballs. A floating mausoleum. An immortality pill. When past and present collide, history won't stay buried. There is a way to watch The Myth in Egypt, even though it isn't currently available on Netflix locally. What you need is a system that lets you change your Netflix country. With a few simple steps you can be watching The Myth and thousands of other titles!